Dutch scientists have announced that crops of four vegetables and cereals grown in soil similar to that on Mars are safe to eat. 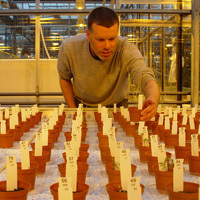 Scientists at Wageningen University & Research Centre in the Netherlands are working on growing crops in Mars and Moon soil simulants. Just like the real Mars and Moon soil, these contain heavy metals in the same quantities. Four of the crops grown were tested for heavy metal content, and none were found to have concentrations that would be dangerous for human health. The plants are therefore safe to eat and, for some heavy metals, the concentrations were even lower than in crops grown in normal potting soil. 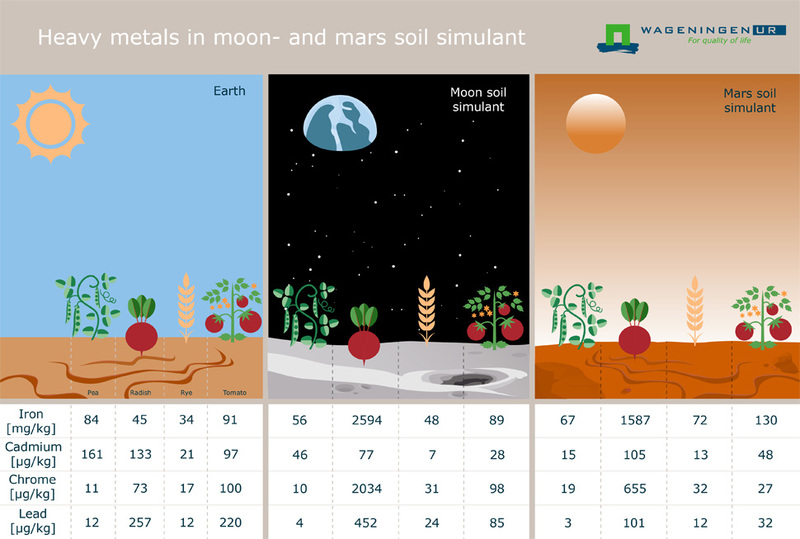 Earlier research by the Wageningen scientists had already demonstrated that crops are able to grow quite well on Mars and Moon soil simulants if organic matter is added to the soils. Heavy metals such as lead, cadmium and copper are known to be present in the soils. If they are taken up in the parts of the crops that may be eaten, they can make the vegetables inedible for humans. Nearly €۱۳,۰۰۰ has been raised so far. A total of €۲۵,۰۰۰ is needed to test the remaining six crops, including potatoes. With additional funding, the team will not only look at heavy metals, but also vitamins, flavonoids (they play a big role in determining the taste) and alkaloids that may be poisonous. 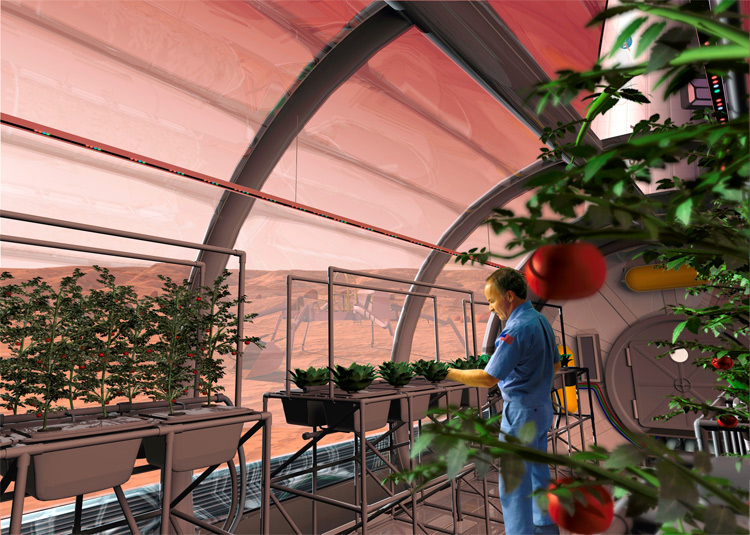 “It’s important to test as many crops as possible, to make sure that settlers on Mars have access to a broad variety of different food sources,” adds Wamelink. 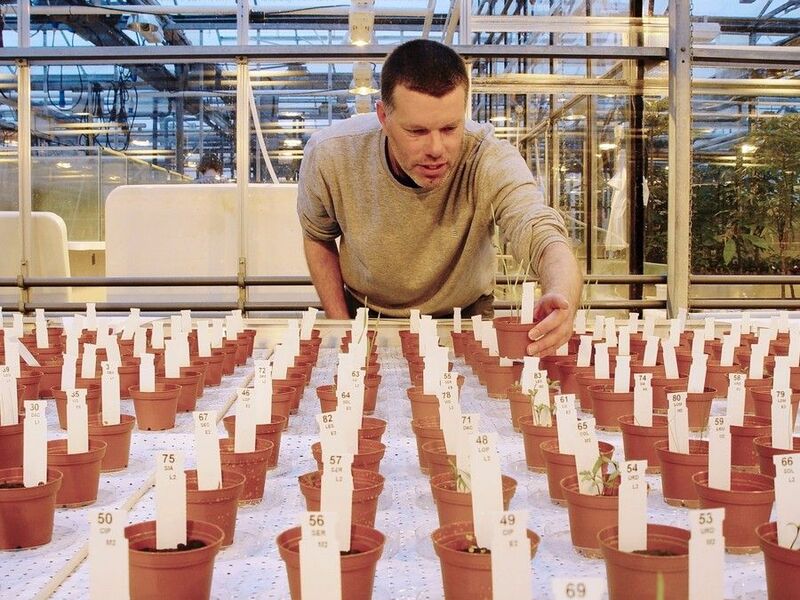 In these latest experiments, the radishes had the highest amount of metals overall, with a relatively high amount of aluminium, iron and nickel. It is still unknown if the contamination only comes from the outside of the plant or also from the inside. If the radishes were properly washed, the content would probably be lower. It was very odd that the crops grown in Earth potting soil had higher contents of lead, arsenic and copper than the Martian soil simulant in particular. It is still unknown if the take up of heavy metals is the same on Earth as it would be under the lower gravity conditions found on Mars and the Moon. Only research ‘on site’ is likely to solve that question. NASA is planning to send astronauts to Mars in the ۲۰۳۰s, while billionaire Elon Musk hopes to achieve that during the ۲۰۲۰s.